View all the Republic Wireless plans that work with the Samsung Galaxy J7. Compare Republic Wireless plans that are compatible with the Samsung Galaxy J7 using our tool below. 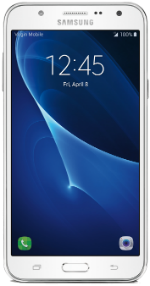 Samsung Galaxy J7 smartphone comes with a 5.5-inch HD Super AMOLED display. From within its surface, the device runs on a 1.4GHz Octa-Core processor with 2GB of RAM and an internal storage of 16GB. On the back of the device is a 13MP camera with Quick Launch. In front, there is a 5MP camera with flash. The device comes with a 3,000 mAh battery. Upon release, the Samsung Galaxy J7 runs Android 6.0 Marshmallow OS.